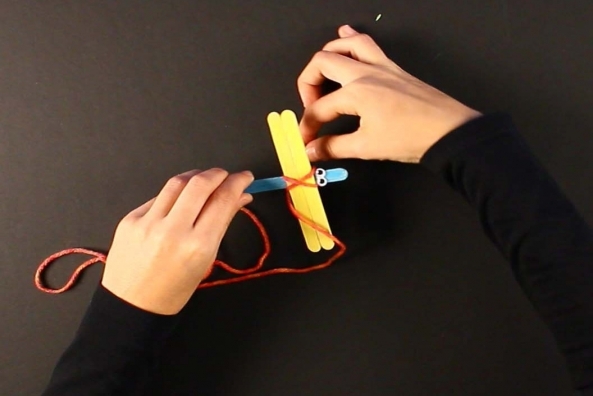 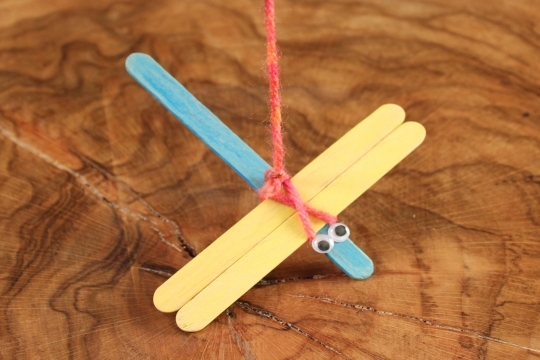 In just minutes create an adorable dragonfly! 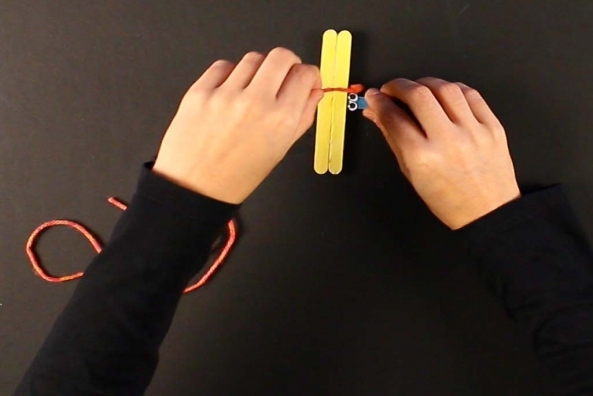 Make more than one and create a buggy scene in your room. 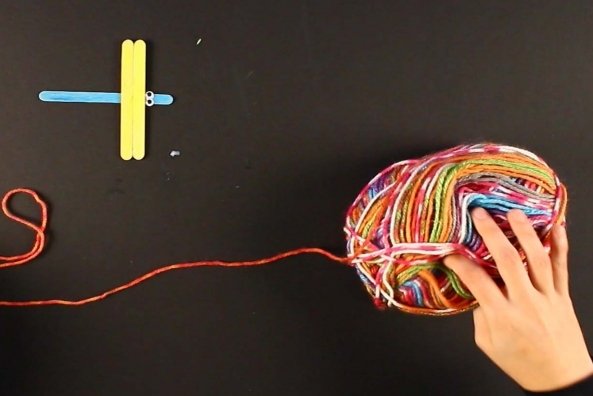 Do dragonflys and dragons have anything in common? 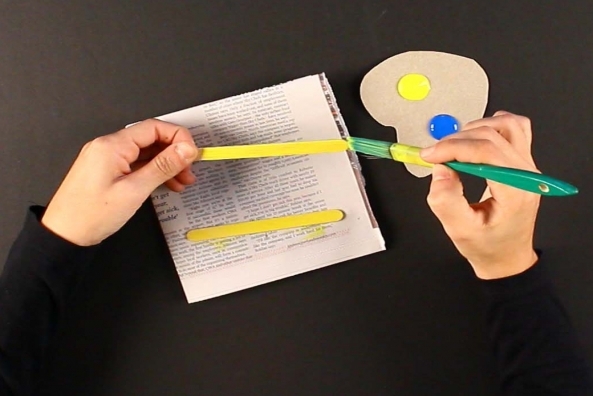 Paint two of your craft sticks yellow. 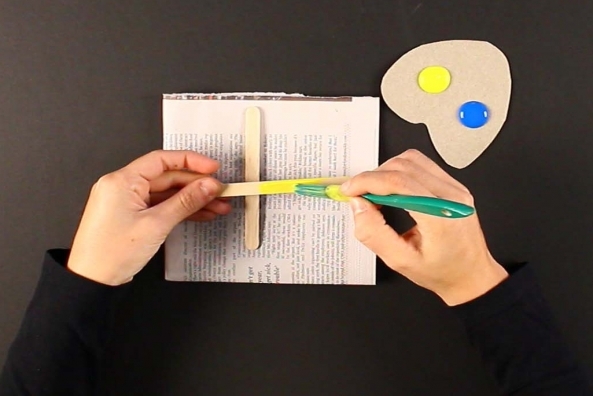 Paint one craft stick blue. 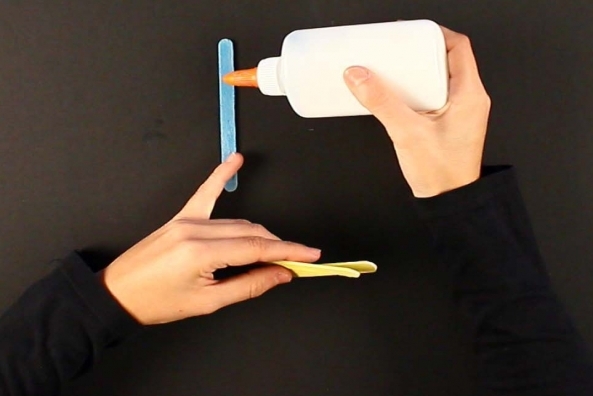 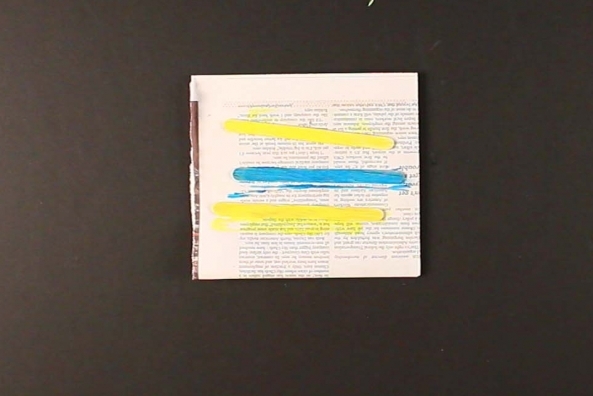 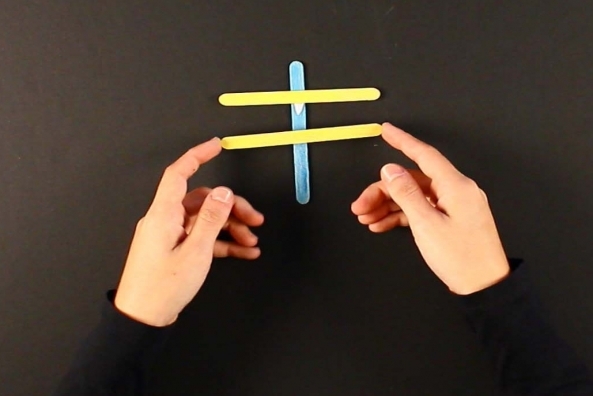 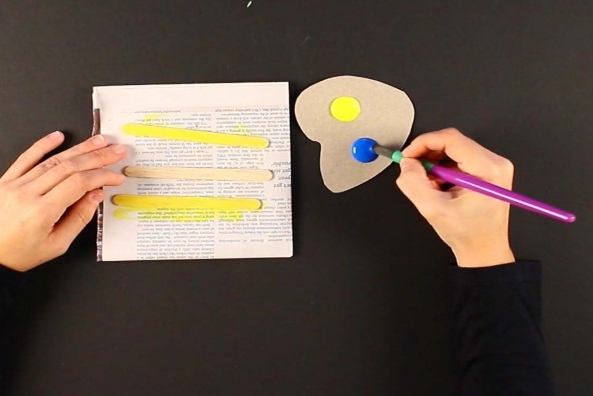 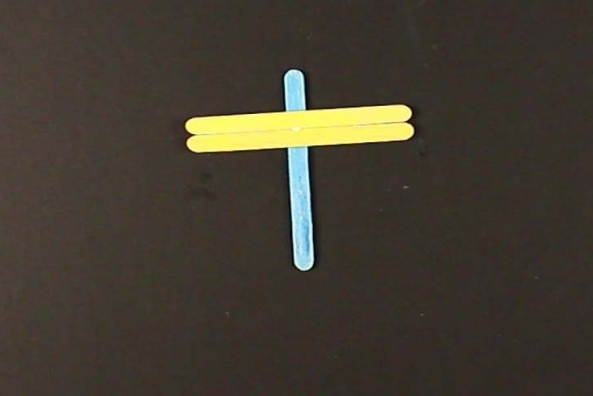 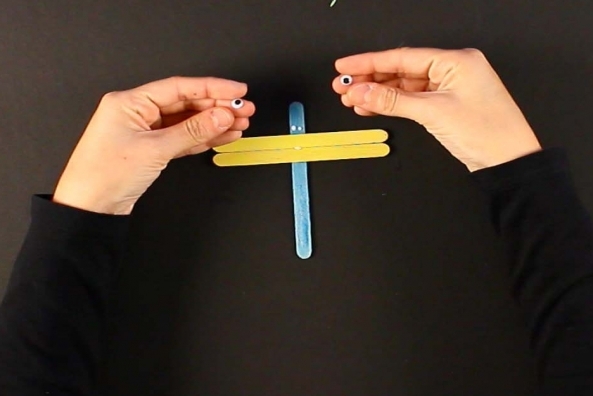 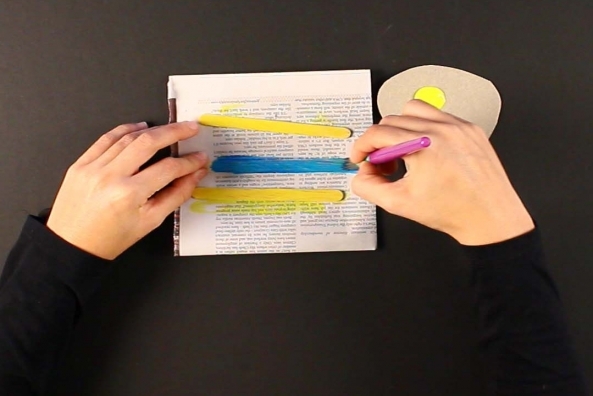 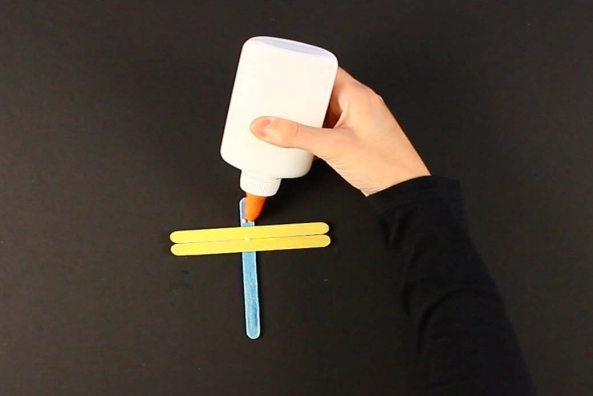 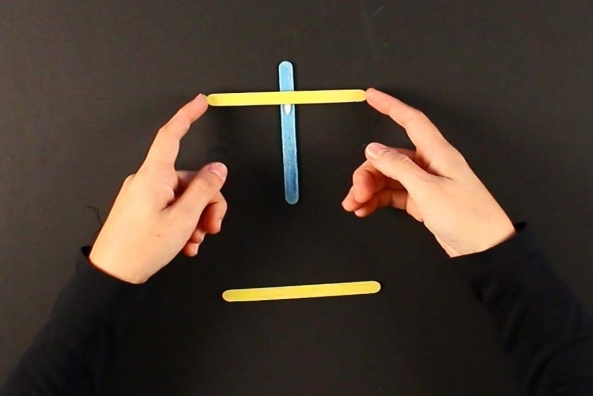 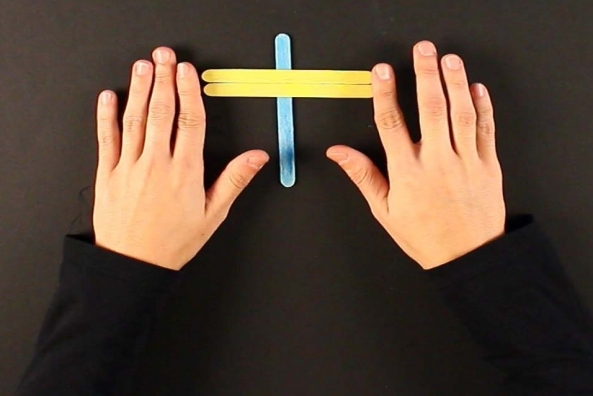 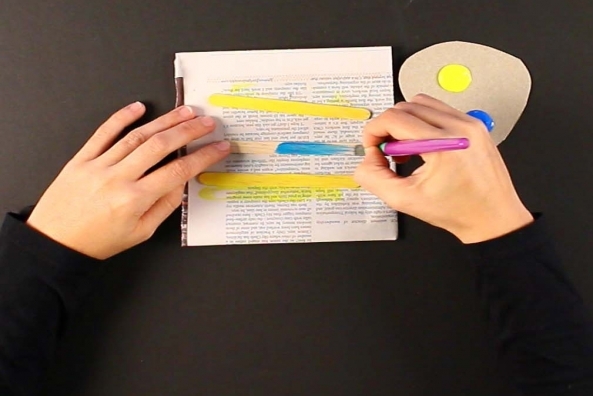 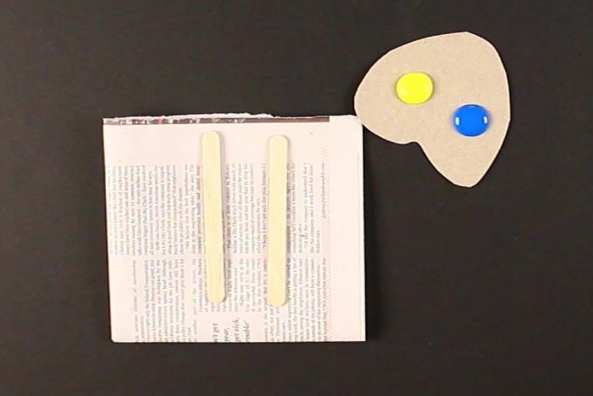 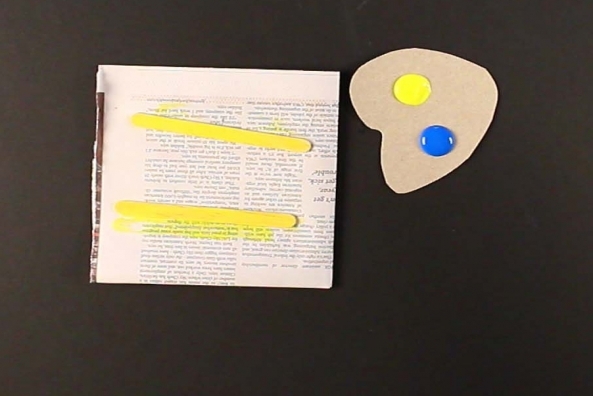 Place your two yellow craft sticks on top of the blue one, making a small t.
Glue the craft sticks in place. 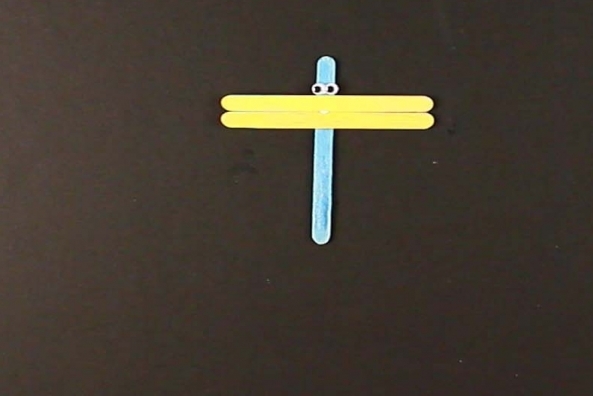 Glue two wiggly eyes on the short side of the blue craft stick, this is the head of the dragonfly. 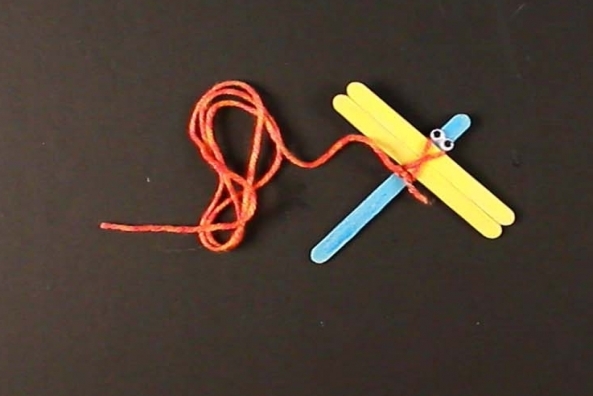 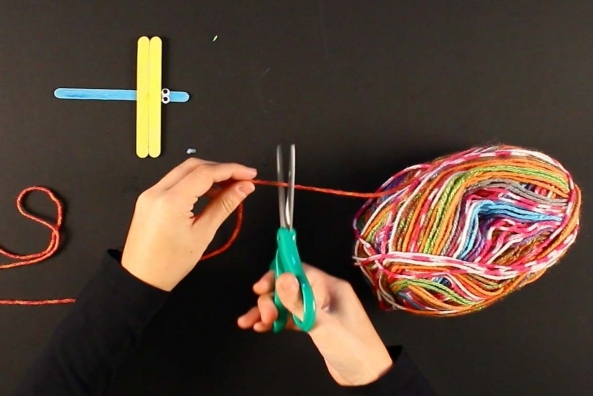 Tie a piece of yarn to hang your dragonfly from the ceiling or in a window.